Canyon has launched a line of high-quality stylish bags to satisfy a variety of consumers’ needs. March 2015. With the arrival of Spring season, Canyon has launched the new product line of quality and stylish bags for carrying laptops, gadgets and everyday use. The whole set consists of 14 bags created according to the highest quality standards and latest fashion trends. Express yourself, change styles and follow trends! Canyon shoulder bags, carrying cases and backpacks are made for true urban people with different preferences and identities. 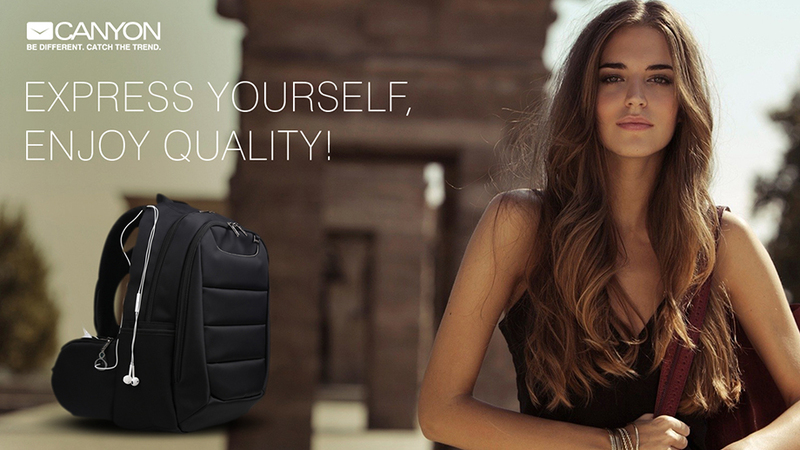 All the bags are made of quality fabrics, have large and practical compartments and ergonomic design. The whole product line is a subject to large number of tests: color permanence, durability, safety, endurance and more. Canyon bags can perfectly match your needs – whether you are constantly on the move, or always on-line.